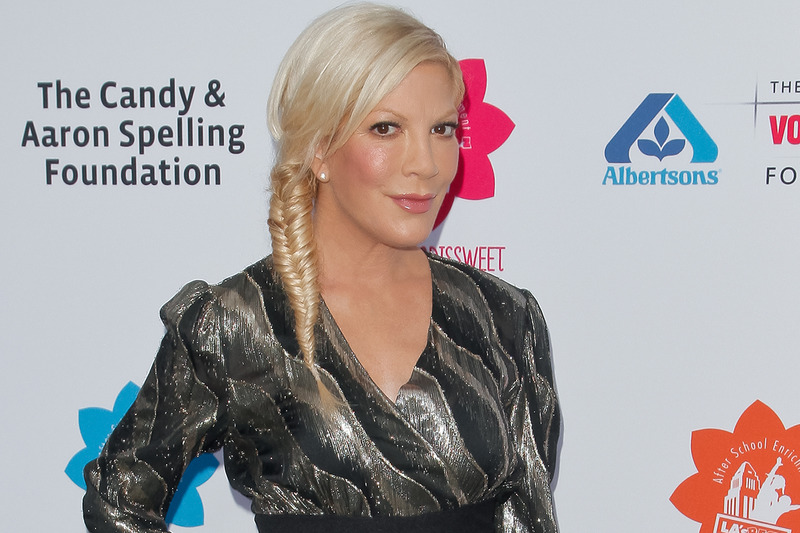 Tori Spelling made headlines back in April when she fell onto a hibachi grill at a Benihana establishment in Encino, Calif., and suffered second and third degree burns. A new report claims that the reality star, 42, has decided to sue the franchise. TMZ states Tori, who has four children with husband Dean McDermott, had to be hospitalized after the incident and allegedly had to lay out money for medical expenses and general damage. Tori and Dean with their children. "Tori hadn't even started to eat, when she slipped and fell," an insider previously told People. "Not thinking, she grabbed onto the side of the hot grill and burned her arm. At the time, it didn't seem as bad as the doctors told her it was the next day." Dean, 48, spoke to the New York Daily News after the incident, though at the time he was unsure if they would press charges. "It was an unfortunate accident. She had a little burn… She had to get skin grafts,” he explained.